This article first appeared in Duke Today. 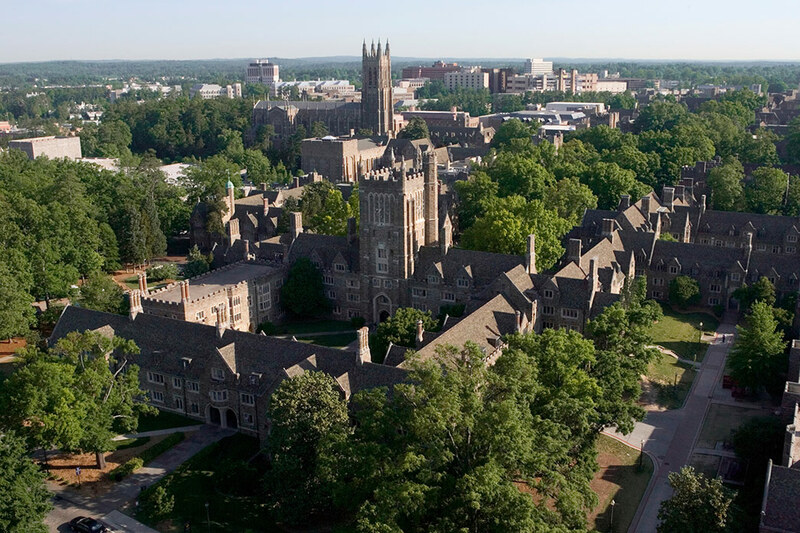 Duke on Monday joined 16 other universities in filing an amicus brief opposing the Trump administration’s immigration order. Each of the 17 universities “has a global mission, and each derives immeasurable benefit from the contributions of diverse students, faculty and scholars from around the world,” the brief says. “Because (the universities) seek to educate future leaders from nearly every continent, attract the world’s best scholars, faculty and students, and work across international borders, they rely on the ability to welcome international students, faculty and scholars into their communities. "The executive order at issue in this case threatens that ability, and creates significant hardship for (the universities’) valued international students, faculty and scholars." A three-judge 9th U.S. Circuit Court of Appeals panel on Thursday refused to reinstate the administration’s immigration ban, which temporarily halts travel from seven Muslim-majority countries, while litigation over its constitutionality is proceeding. Amicus briefs are legal documents filed in appellate court cases by non-litigants with a strong interest in the subject matter. The briefs advise the court of relevant, additional information or arguments that the court might wish to consider. The brief filed Monday adds that the universities "take extremely seriously the safety and security of their campuses and of the nation,” and that if their campuses were not safe, or the towns and cities in which they are located were not secure, the universities “could not maintain their world-renowned learning environments." The universities said they believe that “safety and security concerns can be addressed in a manner that is consistent with the values America has always stood for, including the free flow of ideas and people across border and the welcoming of immigrants to our universities." The universities signed on to the brief are: Brown, Carnegie Mellon, University of Chicago, Columbia, Cornell, Dartmouth, Duke, Emory, Harvard, Johns Hopkins, Massachusetts Institute of Technology, Northwestern, University of Pennsylvania, Princeton, Stanford, Vanderbilt and Yale. The brief was filed in United States District Court, Eastern District of New York.